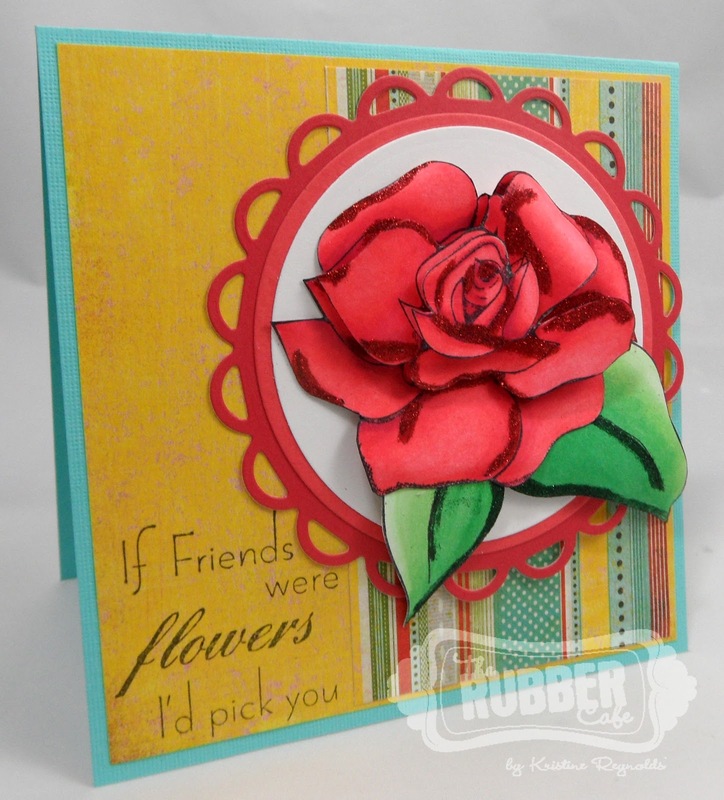 Today I am sharing a card I made with newly released stamps, Rose Garden and Friends from The Rubber Cafe. I started by creating a 5 1/4" top folding Square card out of teal cardstock. then I layered Basic Grey Serendipity patterned paper on to the card. I stamped the sentiment in black ink on the left side. 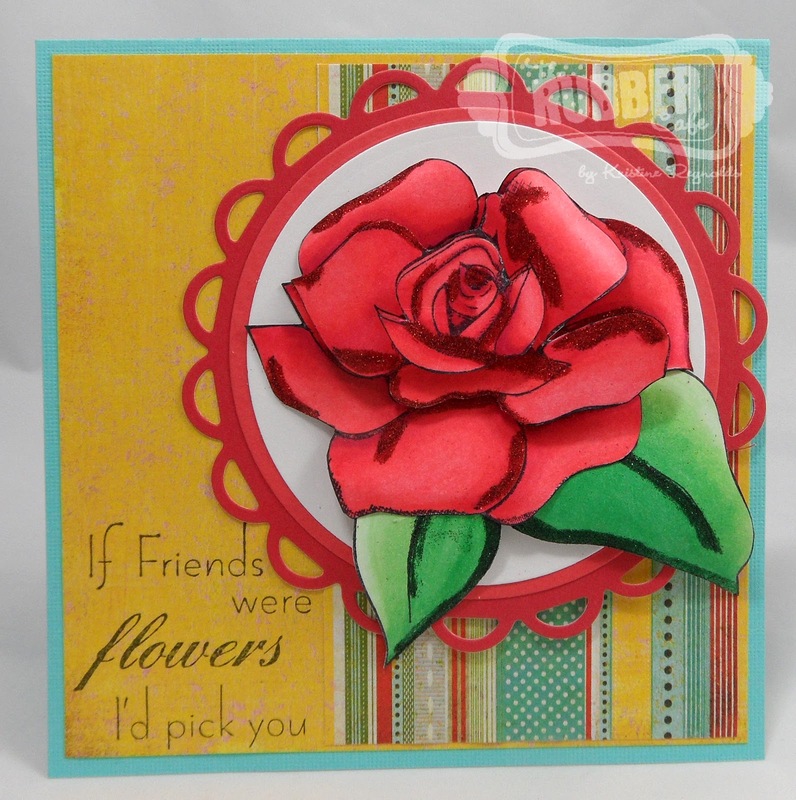 I die cut a light red circle panel and a white circle panel with Spellbinder's Dies. 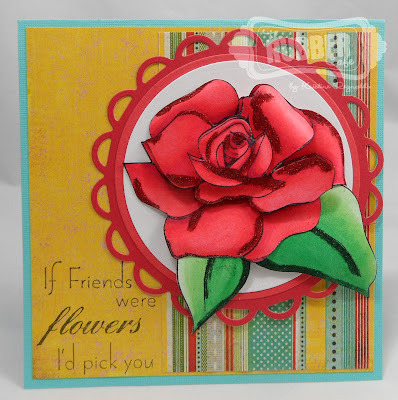 Those two circles were layered onto a darker red scallop edge panel and then adhered to the card. To create the flower I stamped the larger rose image from the Rose Garden set three times in black ink on Pugnacious Signature White paper. Then I colored it with markers. The bottom layer of the rose is the full image. The second layer I cut away some of the outside petals and adhered it to the first rose with pop dots. 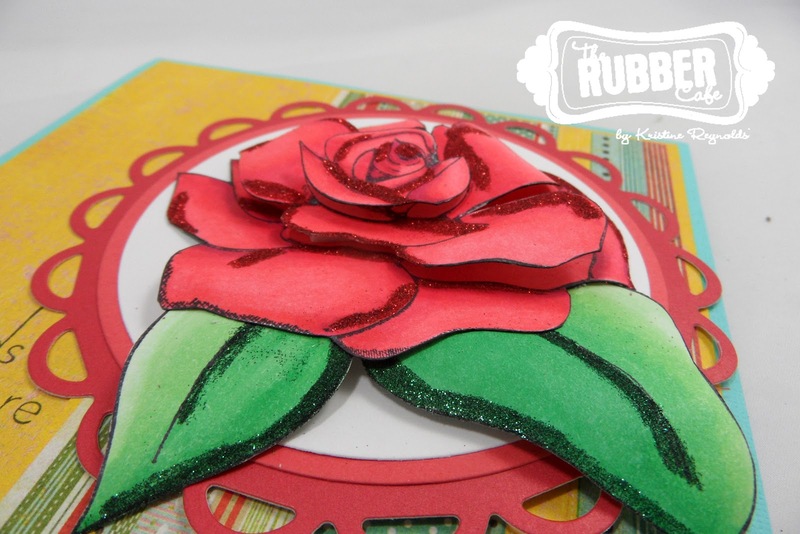 The top layer is just the center part of the rose cut out and adhered with a pop dot. 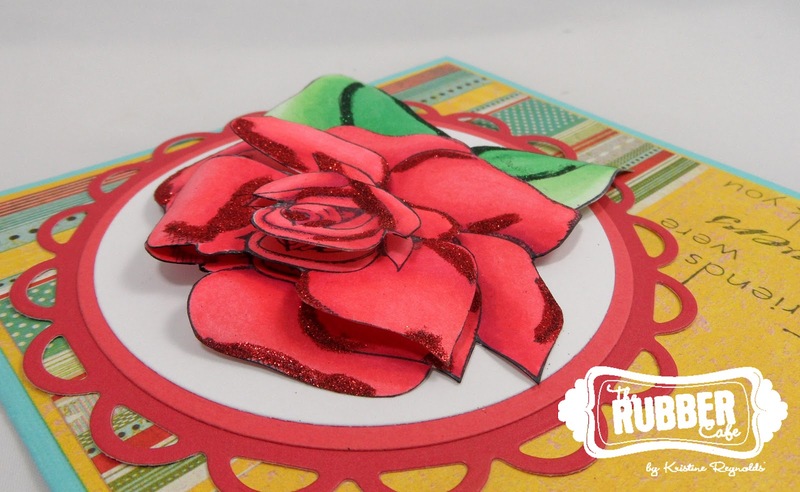 I added Patriotic Red Your're So Fine Glitter to the edges of the petals with Scrap Happy Glue. I used Hunter Green You're So Fine Glitter on the leaves. 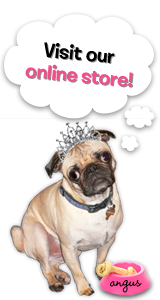 Don't forget to stop by next week to see all the fabulous new release projects the design team is working on for you! That rose is gorgeous! Absolutely love it!